For the Red Baron project, I’ve been working with some custom steel forks. It’s been a while but forks are fun little projects that don’t involve the same investment of time or money that a full frame does. For high performance, carbon is the way to go. The custom nature of this project goes down to the forks and that’s why I ended up here for the first time in a while. The Baron needs to be tested with a front brake. 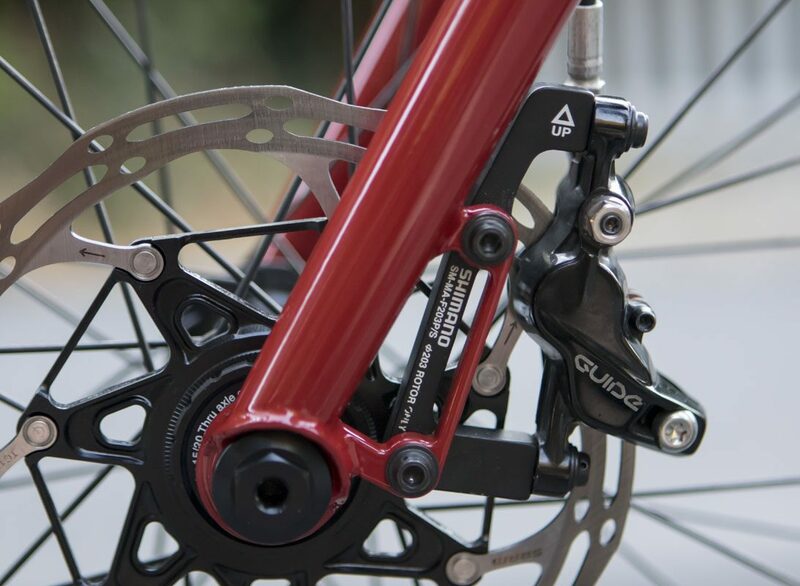 It’s fun as it is but having a fork with a brake mount would allow the bike to used on a lot of other rides. Typically, for rigid forks, there are very few cases where a rotor larger than 160mm is sensible, safe, or justifiable. 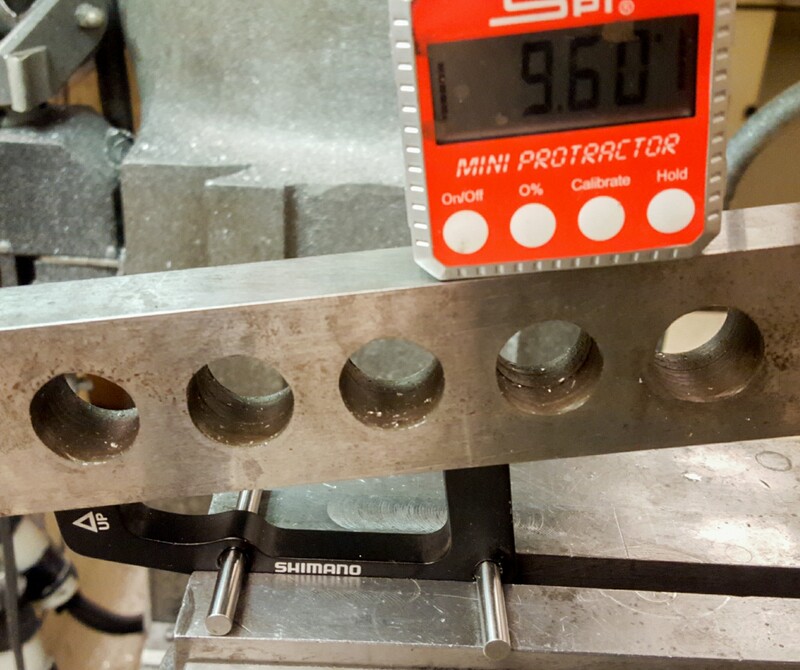 Thus, we can refine our designs to deviate from the International standard caliper mount to something new. Using a 203mm adapter (SM-MA-F203P/S) with a 160mm rotor. It makes the fork far more compact, lighter, and a stiffer mount. 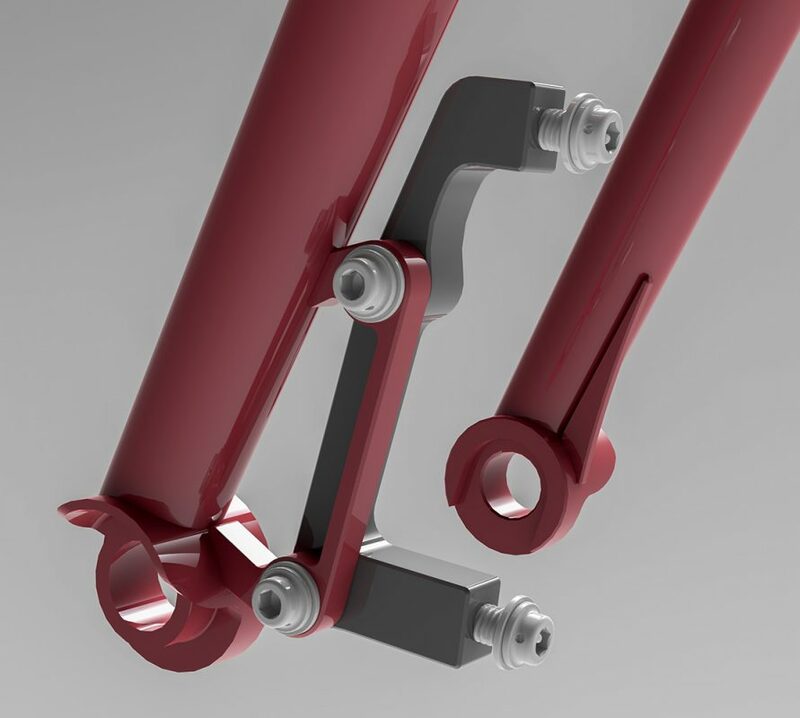 It also moves the mount far closer to the axle so that the fork blade itself can flex more the way we want it to. It looks cleaner and tricker using the larger adapter on the small tab. There are just a lot of wins here. Using this configuration with a 180mm adapter (SM-MA-F180P/S) and 140mm rotors is going to be tested. The numbers do not work cleanly as the rotor jump is 23mm instead of 20mm. It will probably just require a shim. The setup can be called, optimized for mountain bike use. 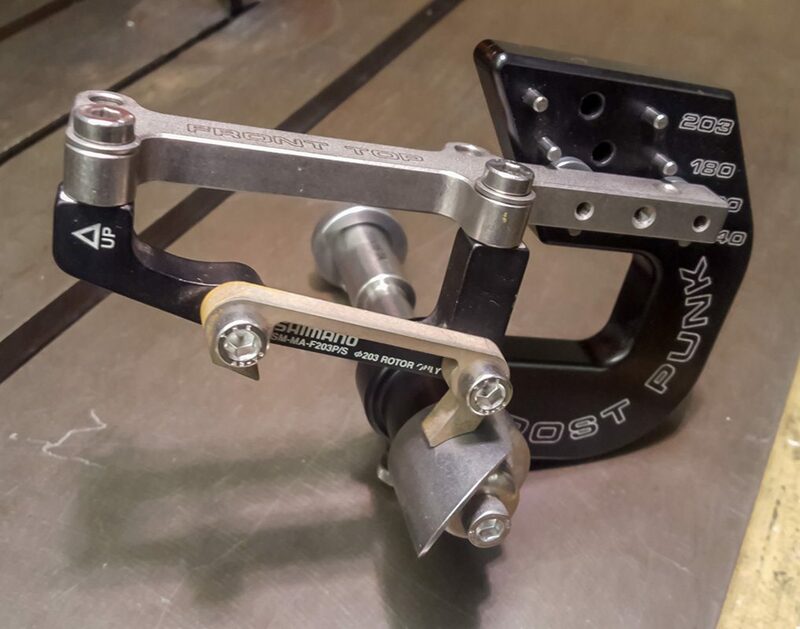 For mixed terrain and road bikes that will prefer a mount that is targeted for that rotor, another standard may be used. This is a continuation on a theme established with the PVD StepDown Standard – Rear. Using that completely changed the aesthetic of my frames. They look cleaner and faster. So much nicer than they would with a standard International Standard mount. Now that moves to the front.